Many of you have been eagerly awaiting my hands-on thoughts with the STAC Zero Smart Trainer, the first version from the company to allow resistance control from apps like Zwift and TrainerRoad. The unique proposition of the STAC Zero trainers is the fact that they are totally silent. They use magnets to provide resistance in conjunction with your wheel rims, which makes this trainer very Jetsons like. Up until this model though, you couldn’t change the resistance electronically. Your only options were either pedaling harder (like a fluid trainer) or adjusting the magnets closer or further. It was kinda finicky, and also sometimes led to a less road-like feel. All that’s largely solved now. I’ve had the trainer for about a month, though just finally got it all tuned in and cranking this weekend after some trial and error. It’s a prototype, though they plan to start shipping just around the corner in July – so we’re talking super close here timing wise, and I think they’re actually pretty close product wise as I’ll explain. In any case, let’s get into it. While I’ll shortly get to how this noiseless magic works, the first thing you’ll need to do is get the parts out of the box. 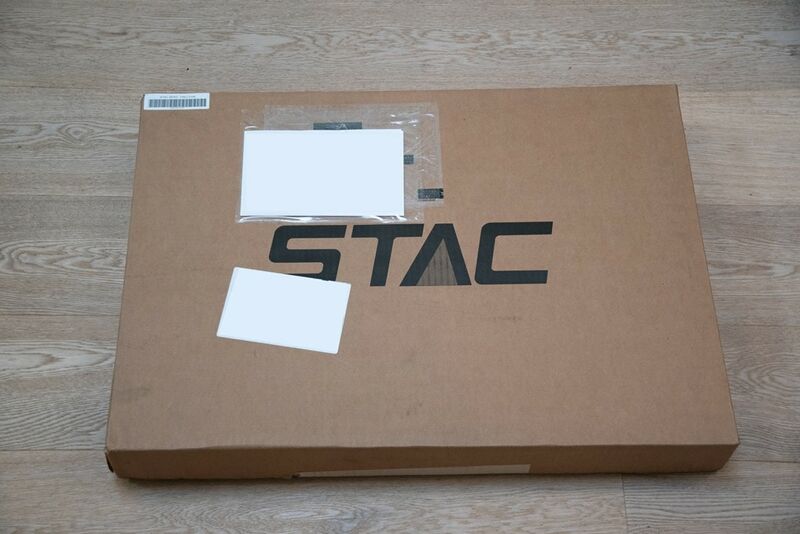 Unlike most trainers, the STAC Zero Halcyon actually comes in a relatively flat box. Lacking a bulky flywheel or resistance unit, it can be packaged like most Ikea boxes. Inside it, you’ll find the Strava-orange frame, alongside a pair of weights to attach to your bike. There’s also some paper stuff too, a standard micro-USB charging cable, and a common speed magnet for your wheel. Plus of course the magnetic resistance arms are in there too, already attached to the trainer, you merely need to unfold them. The small black box contains a rechargeable battery. You can simply leave it plugged in via standard micro-USB cable, or take it to warm-up race-side unplugged and get 10-20 hours of battery life. The trainer portion only takes a couple minutes to set up. While the frame is very industrial and seems quite likely to last a decade or four, I wouldn’t describe it as super sleek looking. It reminds you of the trainer sitting in your garage from a decade ago. Of course, it sounds nothing like it. Don’t worry about the less than polished black box with exposed wiring hanging from it. I repeat TSA, it’s not a bomb. Just typical pre-production hardware. The final box will be enclosed and more refined. The part of the setup that will likely take you a couple more minutes is getting the weights attached to your wheel. In order to achieve a more road-like feel to things, they need weight to recreate a flywheel effect. Your rear wheel by itself is kinda like a pinwheel otherwise, just too light for the job (note: this actually has no bearing on resistance, rather, just road-like feel). The two parts of the arms attach together and then lock in place over the hub of the wheel. There’s two pieces of Velcro you throw into the mix as well, ensuring everything is nice and secure. So finally, how does all this noiseless magic work? 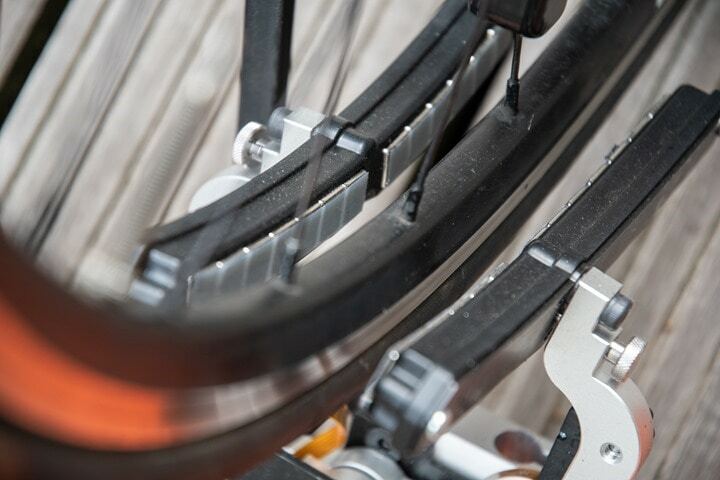 Exactly like the previous STAC Zero trainers, it uses magnets to apply a resistance force to your wheel’s rims. That means that while it works great on common wheel rims, it doesn’t work at all on fancy carbon wheels, since there’s nothing magnetic to interact with. The closer the magnetic arms get to your wheel rim, the higher the resistance is. The further away, the less resistance. We’re only talking a centimeter or two of change though here, not a huge amount. In contrast to past units though, the STAC Zero Halcyon has servos that move these arms in and out. Whereas previously if you wanted to adjust resistance you needed to either change speed, or manually move the arms inwards. Now however, the unit automatically calibrates every time the wheel stops, self-validating that the magnetic strips are properly spaced. On the left side you see a small white-tipped arm. That’s the wheel speed magnetic sensor. It checks your wheel speed just like any other magnet-based speed sensor would from decades past. All of this results in the Halcyon being able to act as a legit smart trainer now, just like those from Wahoo, Tacx, Elite and more. It also gains ANT+ FE-C and Bluetooth Smart FTMS functionality too, in addition to the previously existing ability to broadcast via ANT+ power and Bluetooth Smart power. Said differently, they follow all of the baseline tech things I’d expect from a trainer in 2018. You can see it below showing up in TrainerRoad via Bluetooth Smart on iOS. So with the basics all out of the way, let’s jump on and ride it. I’ve actually done a few different test rides with it over the past month, but I’m just going to focus on the last two I did this weekend – since those are on the most recent firmware and with all the tweaks incorporated hardware-wise that get it pretty darn close to what’s shipping in July. Still, it’s beta software and beta hardware. First up we’ve got Zwift. Now, initially I had problems with realism in Zwift from a road-like feel standpoint. It felt mush at best, that was partially due to firmware (since solved), and partially due to the lack of weight on the wheel (which was solved by adding more weight). And with both of those items resolved I was off to the races in Zwift. Well, not a race actually, just normal riding. Except as I crested hills it didn’t feel right. Each time I went from finishing a climb to starting to descend I’d spin-out, meaning, I’d quickly be pedaling without any resistance. It took me a few hills to realize what was actually going on: It was more lifelike than any other trainer. Note below a mere 59w. 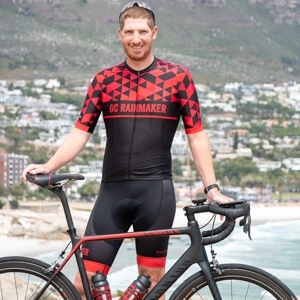 See, on virtually every other trainer on the market, even when you have downhill portions, you still have to pedal with some level of effort to keep the wheel rolling, especially wheel-on trainers. But in this case, once I go ‘downhill’, there’s ZERO resistance from anything. There’s no press-on roller, nor anything holding back the wheel. Just like when you crest a hill in real-life, you have to gear down to a bigger gear to get resistance. It’s exactly the same here. Mentally though, I was just used to being able to be more lax about it on a trainer. Once I had this epiphany and started treating the Halcyon like an outdoor bike rather than a traditional trainer, life was better. The above doesn’t show you accuracy, it just shows what the trainer did. Hang tight for accuracy. You see above that it ramped up really nicely, but then on the first interval it undercut a bit. That had me concerned…but then I remembered why: I was in too slow of a gearing combination. As such, I couldn’t quite get the resistance I needed fast enough. So in between the 1st and secondary interval I geared down a bit (smaller rings in back), and then boom! The second interval was spot-on. Actually, it was scary-fast spot-on. It responded way quicker than I expected, and I’m pretty sure faster than any other trainer I can remember testing in recent memory. I was impressed! So what about accuracy? Well, I recorded the Favero Assioma power meter pedals to two other head units, while I also recorded the STAC Zero to two other heads units too. Doubled-down doubling. But ya know what? The signal from the Assioma cut-out a ton. And by ton, I mean actually a crap-ton. I noticed it a bit while riding, but didn’t think it was as bad as it was till I looked at the data. Here’s that data. I’ve highlighted the yellow portions when the power meter signal was fine. Why’d it do this? Well, I think it’s actually the new Google WiFi I installed. This three-pod system basically surrounds where the trainer was, and I suspect the high-power nature of that was completely killing my ANT+ signal. I also noticed problems controlling a KICKR with Zwift a few days prior, whereas I never had issues in this spot before. I moved it a bit, which helped some, but not a ton. I was in the Bermuda Triangle of trainer transmission. Still, that’s OK, you can clearly see when the data wasn’t dropped out how it compared. Overall it was close – though not perfect. I’d say either the Favero was a bit low, or the STAC a bit high. My guess is they need to tweak algorithms a tiny bit, though they warned that the most recent beta firmware might have a few bugs since they had just tweaked a bunch of other road-feel things. Previously they’ve nailed power accuracy, so I’m not super concerned that they’re a few percent high right now. From a wheel choice standpoint, I’d recommend just picking up a cheap wheelset, rather than swapping weights all the time. I find the swapping of weights fiddly. 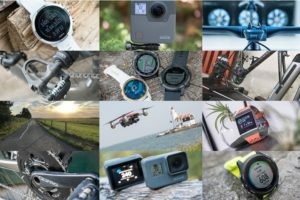 The company has put together a page of recommended inexpensive wheels that work (since some cheap wheels have a steel pin that doesn’t work). Remember, you don’t even need to buy a tire or tube for it…just let it fly naked! I’m impressed, while the STAC Zero Halcyon isn’t necessarily the prettiest trainer to look at, it is without question the quietest one. It’s also incredibly responsive, and properly supports the relevant industry standards. Not to mention you can take it places that don’t have a power outlet (it gets 10-20 hours of charge via its standard Micro-USB port with internal battery). The road-like feel is good, though not superb. 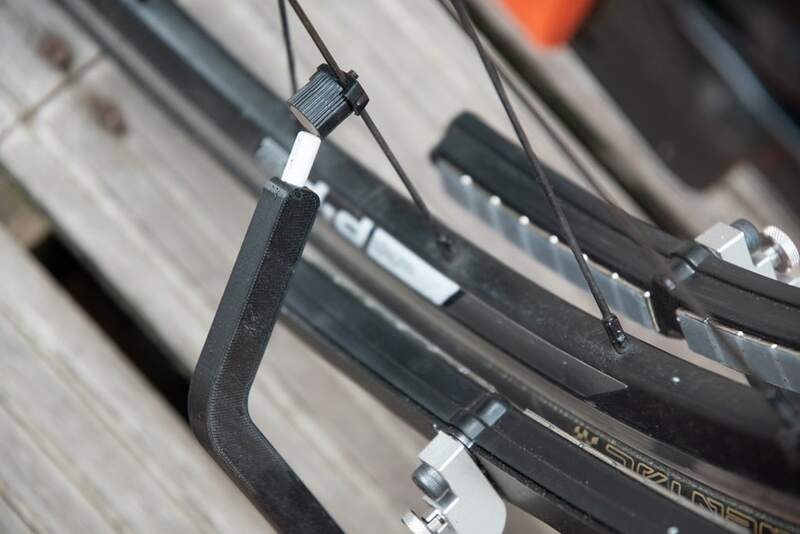 It does especially well on climbs and descents, but it’s not quite as solid on the flats. It’s good, but doesn’t quite match the feel of other trainers in the $700-$800 range (though, is mostly better than those at the $599 price point). The company says that’s something they’re already tweaking, and can be adjusted via firmware updates. 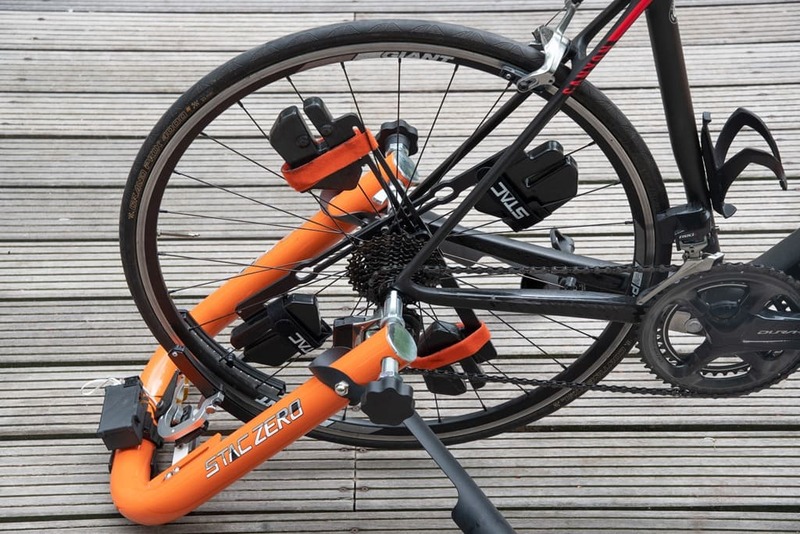 Still, you’re buying a STAC Zero Halcyon trainer for mainly one thing: Silence. The price of that silence depends on when you pre-order it. Right now they’re doing pre-orders at $699USD/€749/849CAD. 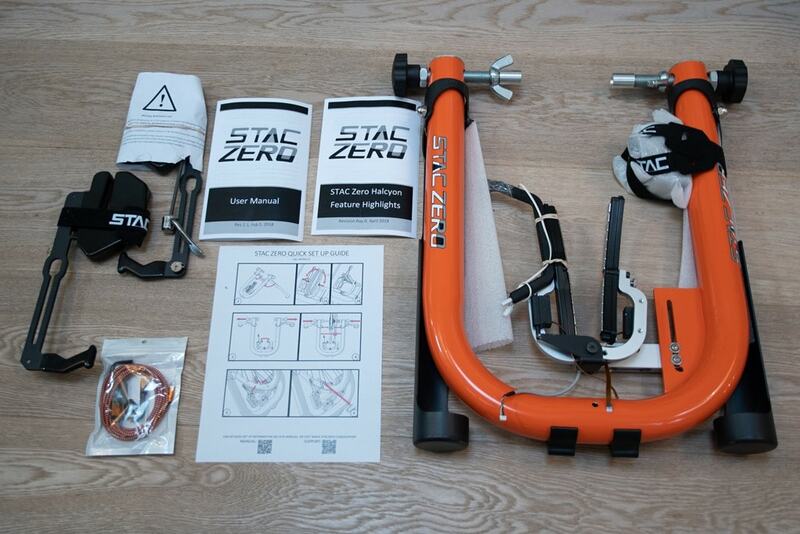 However, if you’ve got a preexisting STAC Zero trainer, you can get an upgrade kit for $319USD/€239/399CAD. Yes, the company is Canadian. Normally, the trainer will retail for $799USD/€899/989CAD, and the upgrade will be $429/€499/$399CAD. The exact end of the pre-order period isn’t specified, though they’re looking at days or weeks, not months. Shipping begins in July. Certainly there’s debate about whether added pieces like fans or TV or such would increase the noise, but ultimately those are all personal decisions. There are many people living in tight quarters where having additional trainer noise simply isn’t viable, nor perhaps the vibrations from traditional trainers (which don’t exist here either). And for those folks, the STAC Zero Halcyon is without question the best option on the market. Would it work with an old trainer wheel that won’t hold true anymore? We’ll try to keep an eye on any comments posted here and jump in with answers, when possible. There’s no reason an untrue wheel shouldn’t work. The key is to make sure that it’s not steel pin construction (link to stacperformance.zendesk.com). A bit of wobbly-ness isn’t really an issue though. If you have so much runout that your brakes won’t work, it might be time to replace, otherwise, you should be alright! General comment: if you’d like to adjust the power measurements to _exactly_ match an on-bike PM, we provide the functionality to do this. That way, you can use numbers extremely consistently, even if you swap bikes to one without a power meter. This way, Ray, you could actually tweak it to match your Assioma PM. There’s always going to be some bias between different measurement sources, and this provides a way to account for it. thats a pretty cool feature! Baby Test- hilarious! And worth staying through “the credits”. I should probably own one of these since I live on Halcyon Drive…. Thanks much for the review/hands-on, Ray! I was waiting for this before I pulled the trigger on the upgrade, but my order is in. So, if you can use the trainer with almost any old wheel, instead of using those awkward weight things, you might as well add the weight to the outside of the wheel. Like replacing the tire, or maybe fill a tire with something really heavy. But what? Sand? Water? Cement? Gold chips? Your baby test sealed it for me. That was hilarious, especially with the clipping in sound. I feel the same way even now when I clip in/out outside of the house when the windows are open early AM. Hopefully my wife agrees and let’s me get one! Minor editorial suggestion in the interest of technical accuracy, consistency and clarity. Rings are on the crank. Cogs are on the cassette. If we’re getting pedantic, cogs mesh with other cogs. Cassettes have sprockets, which are chain driven. Shimano does this too, calls ‘high’ the smaller (harder) sprockets and so on. Bahahaha. Awesome caveat at the end re: sleeping Peanut. When you clipped in I thought “either naptime is just about over or The Girl is out of town because otherwise he has lost his mind.” Well played. Absolute gold and so true.. Does it support ERG mode? Watching you walk across the floor with cleats as if you were on egg shells was epic…I got a good laugh out of that one. :)))))) I thought of buying this last year but without the smart trainer option it was no go for me. It really seems ready for prime time now. One possible solution is to use a solid rubber tire, especially if you’re only using that wheel with the trainer. Adding weight to the rim means you can get the same amount of inertia using less weight that the wheel weights. Not generally very expensive, and it doesn’t exactly have to be top of the line if you’re using it for the added weight, since the usual cons for rubber tires, such as wear or poor cornering won’t apply. Does the trainer work without head unit control at 200-300W quick warm up? Asking because i don’t need smart functions for a quick 15min work out. Or do I need turn on edge or smartphone and connect to the trainer to turn on a basic load? We have included a neat feature that allows you to preprogram a .fit or .erg file. It will auto-execute this workout once you start riding. This way, you can specify a workout before you go to a race, do a quick warmup (and follow your coach’s recommendations), then know you’re perfectly warmed up! It can also default to start in resistance mode, which operates similar to the basic STAC Zero, so plenty of options! Current shipping weight is estimated to be around 12kg. The difference in weight to the base and PM unit is almost nonexistent. If you’re travelling and can do without the wheel weights, this goes well below 10kg. 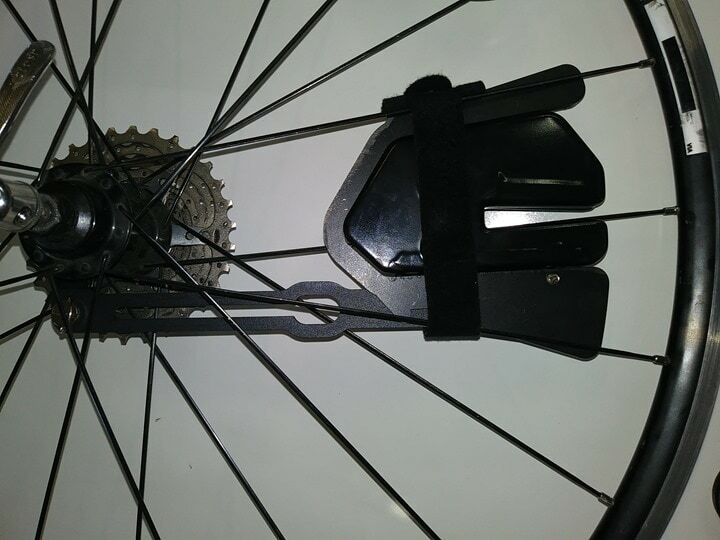 With other trainers in erg mode you can be in the smallest chainring on the front and one of the larger sprockets on the back to reduce noise. Is this possible with this trainer to stay in the same gear combination for an erg workout with resistance varying from 100 to 600W? We’re going to provide the ability to increase this slightly (at least a 25% increase is possible). The current limitation is based on keeping the magnets a minimum distance from the wheels. Some wheel constructions (i.e. those with more aluminum in the brake track) may be capable of significantly more resistance. Question: water in the tube to further increase inertia? Yes? No? Possibly — although water is a similar density to rubber, and a solid rubber tire might be a bit easier to deal with! I think you are forgetting that water is a fluid and rubber is a solid. Therefore, the acceleration of the liquid will experience some “lag” as the water “layer” closest to the tube will accelerate with the tube while the water in the middle of the tube will remain stationary at first. In ideal conditions and at steady state , the angular velocity should be slowest in the innermost layer, and progressively faster as the layers move out toward the tube. This is called “laminar flow”. I’m no hydraulic engineer, and I’m not even sure that the tube will allow for laminar flow–there may be some non-linearities–but I would guess that a first approximation would say the flow would be laminar. And I have no idea whether you’d do better with a more/less dense fluid or by changing the viscosity of the fluid. This actually depends a bit on the rider (which seems counter-intuitive). A light rider with a high FTP will have an effective grade of 8-9%, while a heavier rider with a low FTP will experience closer to 6-7%. This is entirely due to the speed at which a rider would climb a hill. The higher speed a light/powerful rider would experience lets the trainer generate more resistance. One other thing to keep in mind is that the default Zwift setting actually cut the values in half. This means a 14% grade on the “middle” trainer difficulty would only be 7% in the real world. What about when the rear wheel is not 100% true ? Shouldn’t really cause an issue, unless your wheel is REALLY bad. The magnets typically stay 2-3mm from the rim, even at max resistance, which is more runout than even a bad wheel will have. Should be “Except as I crested hills it didn’t feel right.” ? Why is this quieter than a Neo? They both have a chain going over the cassette. And the Neo also has a beltless, non-contact, electromagnetic resistance just like the Stax. Seems like the noise ought to be about the same. What’s the difference? The Neo has that slight hum to it. I’m not sure what part specifically contributes to that (not talking drivetrain hum), but this has no hum. This may well be the replacement of the Tacx Genius that I’m not completely happy with. * will a 650b wheel with 48mm tyres and a Rohloff hub fit/work? Hi Peter, 650b (27.5″) shouldn’t be an issue. As long as you can fit a standard trainer skewer through your hub, I think you should be fine, but I have no experience with those hubs. There is an adjustment for the resistance unit location which will let you fit smaller wheel diameters, like 650b or 650c. You need to configure the calculations in the app to output the proper number (we’re effectively measuring tangential force, and power requires a diameter). As Ray experienced, low gearing combinations can lead to a slight reduction in maximum output, so 400W at 6mph could be asking a bit much. Accuracy at these speeds should be great though! There is a separate app (both iOS and Android) in the works, rather than just the Android version that’s currently available. 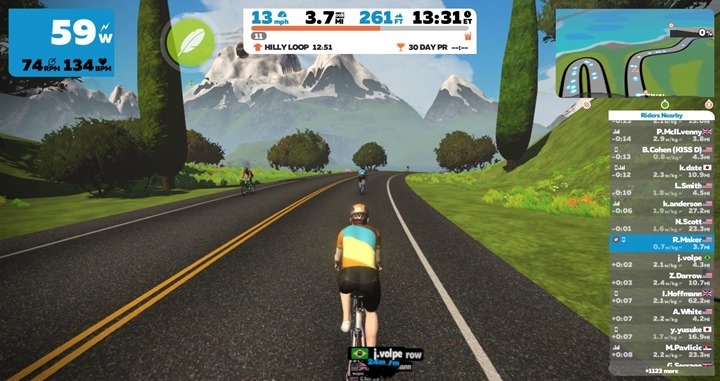 This will allow you to make quite a few configuration changes to the trainer, including the virtual inertia (how heavy your “virtual” rider is in Zwift), transition quickness in Erg mode, and a bunch of other features. Is there a mechanism that prevents the magnets to touch the rim itself? Yes, the first step when you turn it on is a “learning” stage, where the magnets first touch the rim (to find out where it is), then as you’re spinning initially, you’ll feel a ramp up in resistance as the trainer learns the resistance curve of that particular wheel. This is what allows the quick transition in erg mode, since we “know” (or rather, have a good prediction) of what the resistance will be at a given magnet position. This also centres the magnets and allows for a small amount of misalignment in setup. This relearning also happens periodically during the ride in case the bike is adjusted. This will only happen when the wheel is stopped, and it will instantly cancel and re-engage the typical resistance once any pedalling occurs. This should make it relatively seamless, aside from a very slight amount of noise from the actuators. I’m going to say it: I feel cheated by the end of the video (and by this post). 👎. How are you cheated by the post? Apologies if I missed it, but I didn’t see any mention of the clamping mechanism – it doesn’t look like it’s got a quick release lever, but just a screw-threaded bolt, is that right? We are exploring other options, but feedback has been divided: some people say that they like the quick release clamps, other people dislike them. We wanted to keep it reliable, so we opted for a threaded rod. Out of curiosity… who or why does someone dislike the quick-release style (ala Wahoo SNAP)? I guess it was personal preference for some people. The one aspect that is very important for us is actually eliminating play in the threaded rods (which is inherent in the design of any threads) by using a jam nut. This becomes much more difficult on a quick release system. Most of the time, I find that I only have to undo one side anyway, which makes it substantially easier to get the bike in and out quickly and easily. I guess eliminating play is more important given there’s one less point of contact compared to most trainers. Absolutely — maintaining a consistent wheel-magnet spacing is critical to getting consistent resistance. Seeing as this spacing is on the order of mm, any play can have a large impact in trainer usage and feel. Well, STAC Andrew, a few posts above you just replied me that if the rear wheel is not REALLY out of true, this should not be an issue – i.e., no important impact on resistance. By the laws of algebra, a rear wheel wobble of 1 mm (because of the out-of-true) would mean 10% deviation from the 1 cm Ray Maker mentioned in his article. By the equations seen in physics books (electromagnetism), this 10% deviation of distance between the rim and the electromagnet would not translate to a mere linear 10% deviation from the theoretical resistance, as the magnetic fields vary exponentially. So, how do you expect one to use this trainer without spending hours on making the rear wheel true (either as a hobbyst at home or taking the wheel at LBS). Ain’t nobody got time fo’ dat ! That is true, that the resistance is not linear. In fact, we often see resistance varies approximately by 1/(distance^2). However, when the wheel moves to one side, the resistance increases on one side of the magnets and decreases on the other. While not exactly balancing, in practice this is close enough to make it imperceptible to the rider. Plus, if your wheel is spinning at a minimum of 2-3 rotations per second, typically higher, the pulses happen very quickly and are essentially damped out by the inertia of the wheel. I definitely agree with your point, but in practice, it hasn’t proven to be an issue. One quick addition: in reference to the play in the threaded rods in the original design, the magnets would occasionally come into contact with the wheel during a sprint. While there is a protective coating to prevent any damage, the 1/(d^2) climbs extremely quickly when you’re directly contacting the magnets (d goes nearly to zero), whereas, the control system in the Halcyon prevents this from happening and will compensate for it, generally by keeping a minimum distance. What is the max wattage resistance? What hill % can it simulate for heavy riders? Heavy riders will typically see around a 6-7% effective incline. I find this a bit misleading, but it seems to be the standard in the industry. Looking at an extreme example, if the trainer can generate 300W of resistance at 10mph (these are arbitrary numbers), a 1kg rider/bike combo would be able to ascend an extremely steep hill at 10mph (this would actually be more than required for vertical), however, if you were a 500kg bike/rider, the same wattage at the same speed would only provide about 0.75% grade. This is obviously taking things to extremes, but the same trends hold true with light vs. heavy riders. What is your definition of a heavy rider? I’m 90-95kg, ftp around 350w, what kind of simulated inclines can I expect? Ray, I learned a trick to keep the trainer sessions quiter a long time ago – Leave your shoes clipped into the bike. Bonus is you always know where they are and it’s good triathlon training to practice slipping your feet in while on the saddle. How hot will the rims get for a strong rider doing 1h at FTP ? Our experience is that the temperature takes about 5 minutes to stabilise. This means that your 5 minute effort will see the highest temperatures. Art, our programmer, has a 5 minute effort level of around 420W or so, and the hottest that we were able to record was around 65-70°C. Hot to the touch, but not hot enough to cause any issues. Braking will often see temperatures well in excess of 100°C, especially on a long descent. I believe carbon rims (or all rims, for that matter) have to meet an ISO requirement of something in the neighbourhood of 240°C, which is HOT. Was this with a fan moving the air or with only simple thermal convection and radiation? The spinning of the wheel actually generates a fairly substantial flow. Even in “still air”, the surface is essentially seeing ~40-50km/h speeds, plus generating some radial flow (you can feel this if you have someone lift your bike and spin up the wheel). Early on, we had actually created a thermal model of the wheel for help in predicting resistance levels, but despite the model working well, it proved unnecessary. Thanks for the answers! You probably need to put a “Caution: RIM might be HOT” sticker somewhere as most people can not be expected to intuitively realize where all the energy is temporarily saved. I’m not sure if it’s my trainer (cycleops fulid2 from ~10yr ago) or bike (61cm Specialized Shiv Module), but there is definitely some play in my wheel while riding. Is this an issue of my setup/gear or would this be an issue with this trainer? Ray mentions that the road feel is “not quite as solid on the flats”. Is this only in Simulated mode or will the issue apply to ERG training as well? The road feel is excellent in erg mode. Because the trainer adjusts to give you the proper wattage, it always allows you to spin at the highest wheelspeed, which delivers the best road feel. We’re looking at a few options in sim mode in the software that will be user adjustable and allow you to have a better road feel on the flats. We’ve already made a few changes based on Ray’s feedback, and we’ll continue down this path. It’s the fact carbon is not a conductor that is the problem, unless you have steel rims, they are all not magnetic. The rim moving in a magnetic field causes electric currents to flow in the rim, which are resistively dissipated as heat. The currents produce their own magnetic fields that generate a force against the magnets that you feel as pedalling resistance. Looks awesome! How does the trainer work if I wanted to replicate a certain terrain? Would I need to use a certain app? Can I simply map a route, download it onto my computer, and ride with with the trainer adjusting the resistance based on the gradient? I’d love to get more info on this as this looks like a really cool product! We’re working on a few neat features in our app that will allow you to use it without having a subscription to the online services. There’s an interval mode, which will repeat (forever) a specified interval, so you just set time, intensity and duration, and it will allow you to continue doing these intervals. One of the pros we work with actually prefers this, since he’s able to carefully control his workouts, depending on how he feels that day. We also have a Strava segment simulator, which allows you to replicate a certain Strava route and compare your times against others. A really neat feature of this is that it will bring up Google Street View images of the ride, so if you’re doing a mountain pass, you can actually get some of the visuals! Aside from this, the trainer is fully compatible with TrainerRoad, Zwift, The Sufferfest, Kinomap, etc. It works on standard protocols, so there’s no worries about incompatibility. Is there a problem with heat build-up in the wheel rims? It’s here that the power the rider is generating is being dumped via resistance of the induced electrical current, so if you’re punting out 300W, that’s 300W of heat going into the rim. Basically, it’s the no-contact energy-equivalent of riding with the rear brakes on. I’ve hurt my fingers in the past when trying to pick up an old fluid-resistance trainer, and it had a large mass to dump heat into, so I know there’s a lot of energy to be considered. Ray – can you verify if your wheels got hot? I’d be worried about tyre pressure build-up and blowout if so. That’s correct — the energy has to go somewhere. We have two distinct advantages over fluid trainers though. 1) the mass of the wheel is much smaller, which means it heats up faster, but also cools down faster. 2) the wheel is spinning at around 30-40km/h, which significantly increases heat transfer over what a fluid trainer with a stationary heat sink would experience. In order to dissipate the same 300W, the fluid trainer would need to have a higher temperature difference with the surrounding air than the spinning rim would require. Ray – do you think the trainer is small enough to fit in a checked luggage bag? Unfortunately STAC does not ship (cheaply) to where I live, so I’m thinking of picking it up on a trip to the States. Thanks! The trainer actually does fit quite nicely in a suitcase. It weighs around 11kg, and with the threaded rods removed, it will fit in a medium suitcase. With the threaded rods in, it’s around 7cm high, 49cm wide and 56cm long. The width without the threaded rods installed is 40cm. Hello, I’ve got aluminum wheels with disc brakes, will I get the same result as non disc brake wheels? Generally yes, but there have been a few disc brake wheels with reduced aluminum content, which reduces the effect. If you have a more or less flat brake track area (or at least, what would otherwise be the brake track), then you should get the majority of the effect. There might be a bit of a loss in top end resistance, but we’ve tried it out on a number of CX bikes, and had excellent results. One more thing struck my mind: what happens with these mixed material carbon alloy (aluminium) rims? How little aluminium are there on these to provide resistance and store heat? How insulated is this aluminium? Cooling power of going downhill at 40-80km/h is very different to a “stationary” rim fanned by rotating spokes. We’ve seen that carbon/alloy wheels generally do work with the trainer, but at a reduced resistance level. This actually has a side benefit of allowing the wheel to spin faster for a given resistance level, thereby increasing the heat transfer (and lowering surface temperatures). The same testing is performed on all wheels, and they simply can’t fail — having a wheel disintegrate on a high speed mountain descent is a potentially fatal situation. The first generation of carbon wheels did have a bit of an issue with resin longevity, but the more recent wheels hold up very well to extreme temperatures. 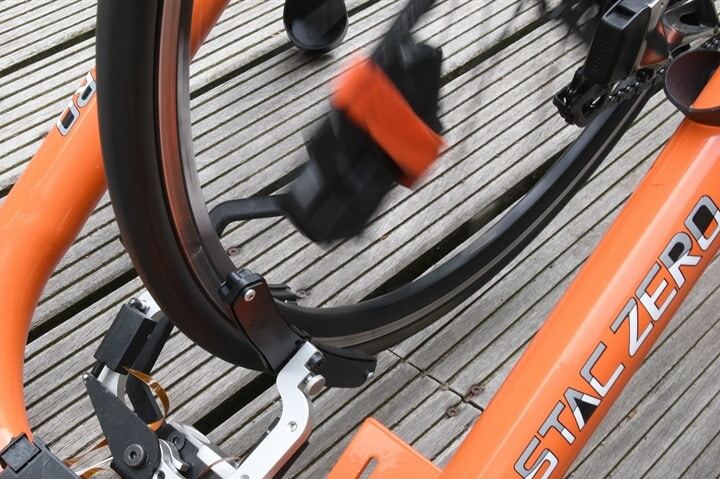 problem with Stac is that the bike shifts in the Stac frame and so resistance is not constant. as soon as you shift position the resistance changes. 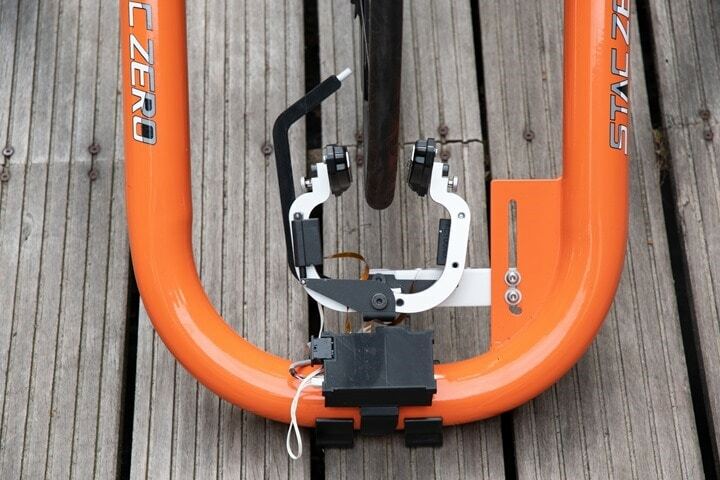 If you tighten the “holders” eventually the Stac frame bends outwards yet bike still shifts. I used one for about a year and then changed to a fluid fixed drive. One of the “large” refinements to the design was including the jam nuts on the threaded rod (cost to benefit ration was huge!). This addressed a lot of the side-to-side movement that you would have experienced. We’ve had a lot of customers perform the upgrade and remark that it was a night and day difference. If you’d like to give the upgrade a try, contact us at support@staczero.com and we can arrange something with you. Although relatively quiet is a good feature of the Tacx Neo, the real reason I like it is the lack of any need to calibrate the trainer. The great road feel (including simulated road feel), downhill acceleration, and semi-rigid connection of bike to trainer are also bonuses. What does calibration procedure for the Halcyon look like? The trainer is actually self calibrating. Each time you start it up, the magnets “find” the surface of the wheel and do a quick ramp up of resistance, which allows for quick transitions. This is a fairly seamless process, and you really don’t notice it. I often spin the wheel quickly before I hop on my bike, then while this process is occurring (5s), I’ll get my shoes on and then hop on when it’s done. It’s nothing like the old CT calibration of 10 minutes warmup, then spindown. $700 and it uses micro-USB. Ugh. Still, I suspect the component costs for micro-USB for a smaller quantity startup drove this decision. At the moment, micro USB still has the highest level of availability for cables, etc. We wanted to provide something that was widely available and wouldn’t require customers to buy new charging cables. As the standard becomes more common, we may look at updating this in the future. 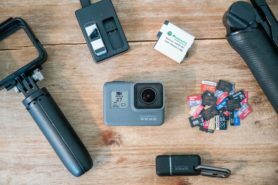 The EU Commission has been and is pushing for standardized chargers – and recently, announced at Computex; Apple, Google, Samsung, Lenovo, and so on agreed on transiting to USB-C.
Really annoying me the constant push to USB-C from techie types on internet (especially DC). 95% of my devices are micro USB (Apple phones the exception). Micro USB works, I have all the cables I need (including neat ones with attached Apple adapters) and many of these devices (battery packs, headphones, etc) won’t be replaced for 5+ years which means 3 different cables now for a long time. To top it off I have one USB-C device and the cable is hard to insert – negating one so called advantage of the new socket. Totally applaud STAC for going with a Micro USB socket. If your USB-C device is as described, then either the cable or the device is defective. I don’t think so. Type-C (USB-C) connectors are somewhat “harder” to connect because for one, they are designed for a higher amperage which requires a higher fidelity of contact, and then, unlike Micro-USB conenctors and the like, which are one-sided/asymmetrical, you cannot press down the inner plastics if outside specifications. Less play there. Anyway, there’s still cheapo adapters from Micro-USB to Type-C. They ‘snap’ though, like a small click. I wouldn’t describe it as ‘hard’, just ‘secure’. I see that someone has already mentioned my first comment – Micro-USB – ? Why on a product with moving people and parts? Next one is 12 x 142 through axles and disc brake based bikes – Will/Do you support these? If not why? If so when? You can also use the code STAC10 for a 10% discount on their adaptors for thru axle bikes. We’ll be integrating this into our checkout flow shortly. The main reason we don’t offer one directly is because of the wide variety of thread pitches and lengths — there’s no way that we can keep on top of this, and instead prefer to work with a partner like The Robert Axle Project. Will be there some adjustment “pads” on the trainer when it’s not an super flat floor? At the moment we don’t have this, but if there is sufficient demand, we can look at incorporating this into our design. Generally speaking, an extra layer of foam (or cardboard or anything else) will help to balance the trainer on uneven floors. Why is this quieter than a Neo? The “external interface” (i.e. cassette mount) in a wheel-off trainer is equivalent to what we have for typical operation noise. This is where the similarities stop. Although there is some very quiet noise coming from the actuators, we essentially don’t contribute anything else. Even though products like the Kickr and Neo do an excellent job muffling the internal noise, there will always be some coming from the gearing/belts used to step up the gear ratio to the flywheel. This is quiet, but still a nonzero contribution that leads to them being louder in normal operation than the Halcyon. 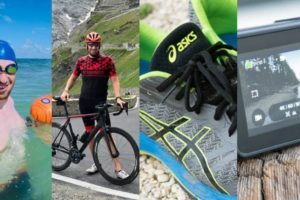 Will Trainerroad “powermatch” feature work with the STAC trainer as with any other smart trainer? Yes, it does. You can hook up any PM as the “input” for TR and use that as your power source. You can also calibrate the Halcyon to match any on bike power meter, which will eliminate the bias you see from measuring in different locations (i.e. crank, pedals, hub, etc all have different losses associated with their measurements). Using the recalibrated value will get the highest level of responsiveness when using TR, which is actually the way I prefer to do my workouts. Hi, looking at your web site its not clear where you ship to – presume not just US and CA? Ordered the product based on this review. The baby test was a nice touch! Andrew, I haven’t seen comments listed since early June, so maybe nobody is posting. Here’s a couple questions for the uninitiated. – I’ve been using a computrainer for years and the model is old and the unit is tired and complicated to set up (lots of wires, looks funky). The system ran using a low-end PC that was connected to a projector as the video monitor. Can the Stax system allow me to run through the computer and projector as well, for ERG, Zwift, etc.? – Is the system currently compatible with iPad/iPhone apps, or only Android? I’m assuming that the Halcyon will be IOS compatible on shipping, correct? Thanks Andrew. 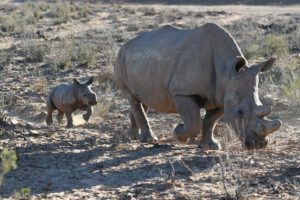 I agree with teh others that the baby test was well done! You can use the Halcyon with any training app for PC or Apple. With PC, you’ll need an ANT+ USB adapter (the bluetooth protocol implemented in Windows doesn’t support FTMS), but with an Apple, you can natively connect through Bluetooth. 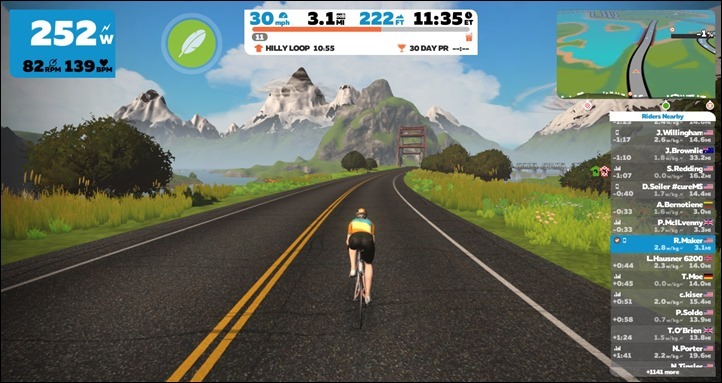 We currently have a free app that allows you to set up basic smart trainer control, but it is also completely compatible with Zwift, TrainerRoad and all of the other major training apps. Provided your computer is able to run Zwift, you should be able to continue running through your projector without issue! If you have any questions, feel free to email our support@staczero.com address, and we’ll be able to help you in a bit more detail through there! Thanks Andrew! what is the ship date for the system? Ship date is coming very soon — we’ll be shipping out the vast majority (if not all) of the preorders in July. EU orders will be delayed slightly, since we have to ship to our distributor first, then they will be shipped to customers, so we’re anticipating September delivery for those. How much weight do the wheel weights add? 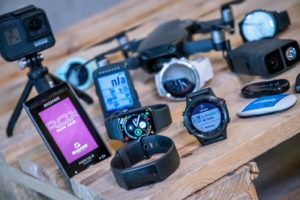 What is the effective weight of the “flywheel” compared to other smart trainers? More weight, more road feel? Just for kicks could you take an old wheel with compatible rim, add an old tire, fill it with lead shot through the valve hole, and have that perform the same function? The wheel weights are approximately 2.5kg additional weight. And you’re correct, the more weight you have, the more “realistic” road feel you get. However, there are diminishing returns. We’ve chosen the weight to be a good balance between road feel and realistic shipping weight. We have been very happy with the compromise that we’ve found between weight and ease of use, but we do offer an option to purchase a second set of weights for those who want a little bit more. Is there a guide as to how much weight to put on for the ideal road feel? I am assuming that the distance from the hub and weight of the rider are factors in the calculation. Would it be possible to mount the upgrade unit on a different frame (eg Kurt Kinetic)? Could it be mounted on a bike frame in place of the rear brake? – new lease of life for an old frame and any old turbo – very green. At the moment, we don’t have any kits that directly mount to either the bike or the frame of other trainers. This is something we have been asked about, but it’s very difficult to coordinate with other companies on this, and there are a lot of different designs out there as well. DCR, I don’t see this in the comparison table. I am curious as to how you think it stacks up and where it fits vs. direct drive options both from a cost and functionality point of view. 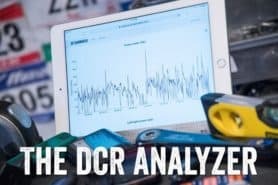 I don’t think DCR posts entries to the comparison chart until an official review of a production unit. This “hands on” post was with a pre-production unit and beta firmware. Since Stac is now shipping with software/firmware tweaks I imagine an official “in-depth” post is next. Doh, I’ll get it added! Thankfully, adding trainers into the database is much easier than watches (far fewer fields to validate). Too bad the front wheel does not spin when on a trainer. With a dynamo hub, you can recharge the Halcyon while training. STAC Andrew, have you heard of Reelight? Perhaps it would be possible to adapt one of their generator lights to output via USB. How long does it take to install and uninstall the wheel weights? Is uninstalling these weights the only thing required to get back on a real road on an unexpectedly nice day? Maybe I missed it somewhere in here but DC said he road-like feel is good, though not superb. It does especially well on climbs and descents, but it’s not quite as solid on the flats. It’s good, but doesn’t quite match the feel of other trainers in the $700-$800 range. The company says that’s something they’re already tweaking, and can be adjusted via firmware updates. Has this been addressed DC’s review??? IIUC from the FAQs you need nothing magnetic in your wheel, or tyre. A better sentence construction would be “…nothing _metallic_ to interact with”… cos you need to generate the magnetic eddys, per Oersted and Faraday. On June 3rd above there’s a spam comment for very sketchy internet loans- probably slipped by in this giant thread! Secondly, just wondering if we’ll see the STAC featured in your coming buyers guide – I’m looking at pulling the trigger on a Halcyon in the next couple days and I wasn’t sure if it’s getting a strong recommendation still after all these months. Thanks – somehow missed that one on a travel day. Zapped. It’ll be in the guide tomorrow within the ‘quiet’ section, albeit like all trainers in that section it’ll have some caveats. Hi Ian. I have one and have been on it for about three weeks. I have been using it in ERG mode as part of a structured training plan and it works great. I haven’t spent much time in Sim mode yet. There is a bit of a learning curve when you first get the unit, but within your first few rides the learning curve flattens considerably. If you have specific questions, please ask here or email. Any difficulty getting good road feel out of the setup? Have you had a chance to use Zwift? Curious what your thoughts on hills and incline simulation. I have been doing a 6 week FTP builder workout plan on Zwift, but that uses ERG mode as it is interval training. On the Stac, you get the best road feel in ERG when using the wheel weights and you are in your hardest gearing. It feels very good, but I have nothing to compare it to as this is my first smart trainer. You can set how quickly the targeted power shifts by using a slider on the Stac app for ERG mode. It can shift anywhere from crazy fast to very comfortable. I haven’t used Sim mode much yet, because I’m in the middle of the workout plan. There is a fine tuning slider on the Stac app to dial in the road feel using Sim mode. You can store more or less inertia in the wheel, affecting road feel. It might take some trial and error to find what feels best for you. Personally, my bigger challenge in Sim mode is not getting adequate warning of the timing or magnitude of gradient changes. Zwift tells you the current gradient and shows you a profile of what’s ahead, but it isn’t like seeing the road itself and sometimes the gradient changes quicker than you expect. You can find yourself pedaling through air, when on a real road you would have geared up. Conversely, you can find yourself in too hard a gear on a climb, when you would have downshifted earlier. Maybe you get used to it after a while and these problems goes away. This trainer is really tempting, my old one is nice and sturdy and I’ve been pedaling on it for several winters now, but it’s quite noisy. Also, I haven’t tried Zwift, but it has the promise to bring some challenge. Now, I went to the website (I live in Canada) and the model called STAC Zero Powermeter says it’s “Compatible with a wide range of virtual trainer applications including Zwift and TrainerRoad“ while the (probably out of my budget) STAC Zero Halcyon Smart Trainer says “Fully controllable by your training app of choice including Zwift, TrainerRoad” (etc.). Is there a difference there, and if so, can anyone explain what would be the difference? Is something the more expensive model will do that relatively more affordable won’t? Hi. Here is the difference. The Powermeter version will transmit the power being produced to Zwift (or other apps) so that you can calibrate your effort during a ride, race or training session. However, the app doesn’t control the trainer’s resistance. If you want to change that, you will need to shift your bikes gears to make it harder or easier to pedal and change the power you are producing. This is because the resistance is determined by a combination of wheel speed and the distance the magnets are set from the wheel’s rim. You can change the speed with your gearing and pedaling, but the magnet distance can’t be changed while you are riding. On the Smart version, the trainer can receive instructions from the app and the magnets will automatically move in or out to either target a specific power output (called ERG mode) or a specific gradient (called Sim mode). Because the trainer will adjust its resistance to target a specific power, you can do intervals in ERG mode without shifting gears or targeting a specific power output. You just pedal at whatever resistance you are facing. I hope this helps. The ability to connect with apps is nice in that it beats the heck out of staring at a wall. Thank you, Steve, that’s a very clear and useful answer, and it certainly tempts me to try and make the effort to get the smart version. DCR tested a pre-release version that wasn’t shown with the magnets adjusted in the first two photos. 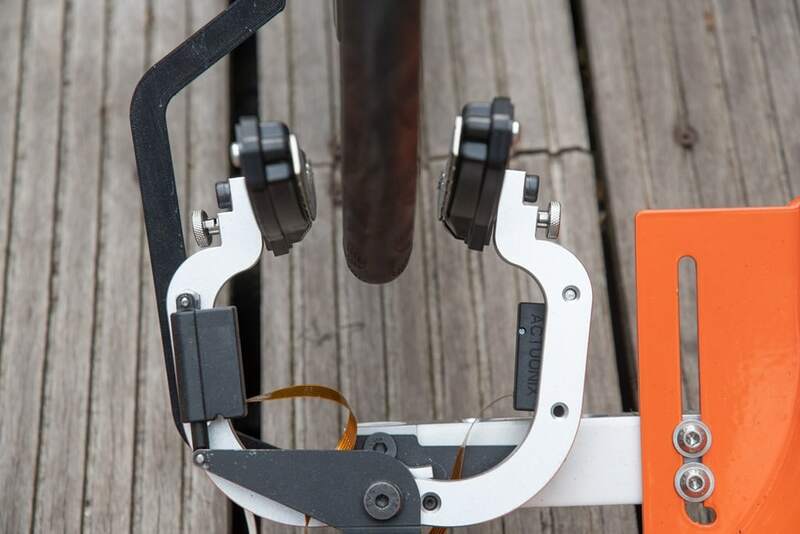 The production unit is pre-adjusted for a typical 700c wheel and includes piggy-back weights, not the two sets of wheel weights shown in the review. Also the black controller box is mounted underneath. I did have to tinker with things for my CX wheel but the videos are easy to follow. 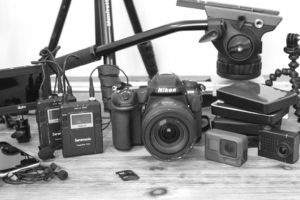 For anyone out there who hasn’t installed the latest firmware (v2005) it’s worth doing for two reasons. 1. Calibration is now automatic as soon as the jaws activate. 2. They’ve made changes under Tweaks that can raise slope/resistance limit up to 10% depending on your wheel/rim clearance. I don’t care about #2 as the 7% default limit is more than enough for my training, but #1 means you can just hop on and ride and that’s a welcome change. For some reason, only v1150 is available to me. Anyone else having this issue? I upgraded to 2005 without a problem this afternoon. Using an iPhone XS with the latest iOS and whatever the latest STACControlPanel is since I have auto update turned on. 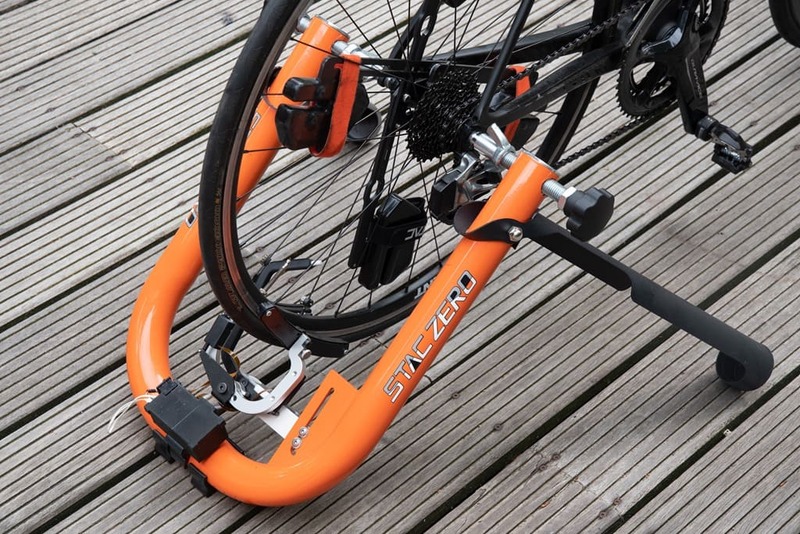 Why would the Stac Zero be “the world’s most silent trainer”, more silent than a good direct-drive trainer? Sure, Stac does not have anything touching the wheel, but it does have a big wheel turning at massive speed with the spokes beating up a lot of air. The corresponding thing on a direct-drive is a solid piece of metal turning inside a protected device. Why would this turning piece of solid metal that does not hit the air or anything else sound more than a big wheel with spokes that beat the air? How big is the noise difference between Stac Zero Halcyon vs a Tacx Neo, and vs a Tacx Flux? And if the difference is noticeable, why? The Trainer itself is very very quiet. After using it for the first time I realised how noisy my drivetrain was as that was all I could hear! I’ve never noticed the noise of the wheel with the weights going round. My fans are still obviously very noisy though. If you are not planning to train in the same room as your partner then I wouldn’t have thought it would be a problem. I have not however heard the other silent trainers so cannot comment in it’s relative quietness to them. There’s no noise from the wheel at all. You can only hear the transmission so it must be quieter than the other turbos. My fans are louder than the turbo but all of that is still quiet enough that my wife rings me to see where I am – she can’t hear me turbo on the Stac !